White,black and green peppercorns all come from the same vine. They grow in clusters and are harvested in various stages of growth. Pink peppercorns are soft fragile berry with a sweet sharp flavor. Tellicherry peppercorns are left on the vine longer so that they develop a deep rich flavor. 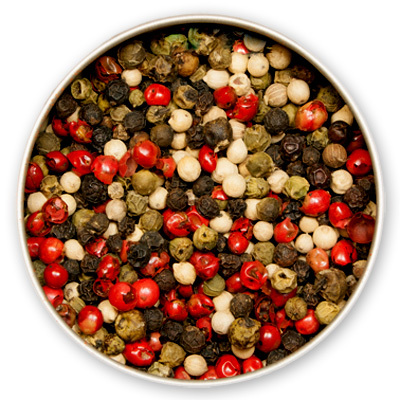 Rainbow peppercorns are a blend of black, green, white and pink peppercorns creating a visually , aromatic and flavorful addition to your dishes.